The following four web site designs also showcase writing and content development. Each of these are close to or at 100% of the content having been created by Creative Business Services. Best of all, objectives with these sites are effectively being met, even by wide margins and all time highs. DXair is the result of “outside the box” thinking long before the term got popularized. Back in the 1970’s an engineer pondered the idea, “There must be a better way,” after observing the shortfalls of conventional thinking concerning methods to control humidity in an indoor pool environment, plus the problems with installing, maintaining, and servicing the equipment. Innovative pool room dehumidification systems soon followed. LOVE IT LOVE IT LOVE IT!!! Beautifully done and laid out!!!! Huckins Construction is a high end “third generation craftsman” remodeling company. A specialty of theirs is “aging in place” remodeling to empower people with limited mobility to live safely and independently in their own homes. The local market located on the Mississippi Gulf Coast has a high concentration of senior population. The design and content is carefully crafted to reach this market segment and has been very effective. My revenue has doubled if not close to tripled. Steve has done an awesome job!!!!! Breyer Construction & Landscape provides custom built decks, hardscapes, landscapes, and remodeling services. Their distinction is impressive design and client satisfaction; not just making their own claims, but having a proven, documented track record. They even received an award for customer satisfaction in a national survey. 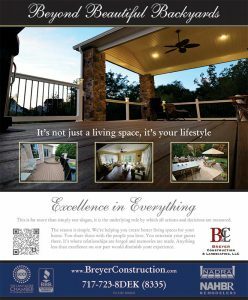 This site showcases their work and helps customers ease the often difficult task of choosing a contractor. 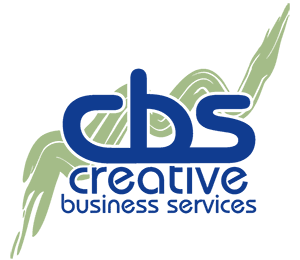 The more recently added blog is maintained by Creative Business Services with client supplied materials. The Alpha Prison Ministries custom web site has seen many changes since the original design in 2004. Prison ministry is not something most people know much or anything about and this content rich site offers intriguing insights. Alpha has a success rate of nearly 90% helping men to become productive members of society instead of burdens to the taxpayers. This breaks the cycle of crime and restores broken families. Writing quality is also demonstrated in the newsletters written and edited by me, Steve Chittenden, in addition to the site content itself. Here are a couple more site designs to show additional variety. When you get to do a web site for an artist it provides the liberty to be more “artsy” and elegant. This custom design is the latest of several completely different looks created over the years since 2006. Artist Pamela Alderman has been very successful at engaging the public with her art each year at ArtPrize, the world’s largest art competition held in Grand Rapids, Michigan since 2009. It’s been exciting to be part of the journey and I also maintain her artist blog. The web site for H&L Advantage communicates industrial imagery and real world plastic products manufacturing expertise, yet it is presented in a visually appealing layout. This web site and the marketing behind it has contributed significantly to H&L being able to prosper and grow while the local manufacturing market has suffered many losses over recent years. Having been doing this site since 2002, it has seen many design changes and will be seeing another one again soon. Video content marketing is pretty much a necessity in today’s market. If you’re within reasonable travel distance of Grand Rapids, Michigan, video production can be included as part of your web design project. Reasonable is determined by a number of factors so it never hurts to inquire with us about video production. The promotional video here is an example of Paul and his team’s work, produced by his independent studio, Paul Matthew Media, and used with permission since he and his connections are part of the Creative Business Services’ entourage. There’s a significant amount of crossover between web design and graphic design but not necessarily the other way around. Graphic design skill is very useful in web design but web graphics are terrible in graphic design. In this digital age, some of the detrimental side effects include things like the wrong software getting used for the wrong purpose and the buyer is getting played. Ask any print or sign shop owner about Photoshop artwork and watch their eyes roll back in their head as they answer. These points are not just to assure you that we provide qualified graphic design, but the process can work in reverse when we’re building a web site. It’s not at all uncommon for us to recreate or replicate logos and other graphics so they don’t look so awful trying to use sub par files while building a site. The web sites above look clean and sharp because of these facts. Here are a few selected examples of graphic design because although our primary service is web site design, graphic design is a skill many of us have been using for a lot longer than the web design. Tri-fold flyers are very popular for good reason. They can be easily mailed, handed out, and displayed. They provide an economical means to promote, and they work very well if designed correctly. 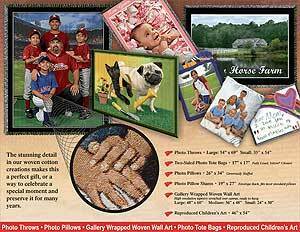 The flyer shown above illustrates how any photo or artwork can be woven into a keepsake. This “generic” version was created for dealers such as professional photographers to promote the service, and add their information to the back cover. Being a graphic designer, of course I designed the logo for my own company so it makes sense to feature it as a logo design. Clean and simple are the most basic rules of logo design but the challenge is making it unique so it’s easily distinguishable from other logos. That’s why simple isn’t easy, a logo design should never be rushed through. Figure it this way, you’ll be using your logo for a long time, probably the life of your business. It’s important to get it right. The example above shows the melding of art with technology. This client was paying tribute to his ancestor, a founding member of an Australian rugby team. Since photographs were limited, artwork was required to create this circa 1908 image. I commissioned my very talented daughter to create the color pencil sketches, then used digital imaging to fine tune the finished artwork. Not every picture starts out perfect, but problems can be fixed through photo editing. The example above is a fall color scene taken in three, slightly overlapping segments. Not only are the colors dulled from the pictures being being too dark, there are some unsightly tar lines in the road that detract from the image. All three images were combined and corrected for a wide angle view, the vibrancy of the colors was brought to life, and the finished image was edited to draw the eye to the beauty of this fall color scene. I also use this example to help coach clients on picture taking for more striking imagery in their presentations. The above is actually a mock-up and not the finished vehicle graphics but this image was both for client approval and to assist the sign company. I am a former sign guy and did produce the files to use for the actual vinyl cutting. It’s also worth mentioning that I created the logo design and have done the artwork for all the needed materials like stationary, signs, ads, etc. This expertise benefits both the client and the vendor producing the materials, like these vehicle graphics. This portfolio should provide a good scope of what we do without being overwhelming to review. Simply fill out our Request for Proposal and we’ll be able to create designs for you that help compel more people to do business with you.